Is Countdown To Profits A Scam? 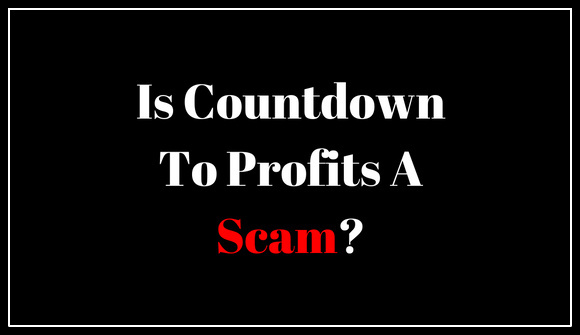 Is Countdown To Profits A Scam? Let’s find out the answer to this question in this important article. I have done the research for you so if you would like to know the truthful answer make sure to read this review all the way through. NOTE: I have been exposing scams online since 2014 and I know all the popular scam signals when it comes to spotting a scam website. I have written a short guide here which has helped my users to stay away from many online scams. You can benefit from it as well and it is available to you for free. Along the way, I have also seen the best systems that shows people how to actually make money online. You can find my best recommendation here. What Is Countdown To Profits? 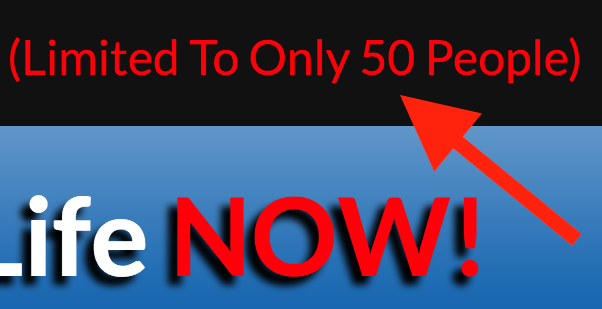 Countdown to profits is a get rich quick scheme which is advertised as a legitimate work from home opportunity. From the get go, you will see that there are a “limited to only 50 people” available. Bear in mind that wherever you are in the world, you will see this being displayed to you. This will obviously create a feeling of scarcity in the brain of the person viewing the website. Unfortunately, many people do fall for this tactic and therefore, proceed along unknowingly. Upon entering my test email, test phone number and test name on the main page of CountdownToProfits.com, I was redirected to their main sales page. If you did the same thing that I did, you would have noticed that the “limited to only 50 people” timer has been reduced! Just a heads up, I left the page open for several hours just to test if the “8 spots” would count down to zero. What did you think happened? If you guessed that it stayed on 8 spots, then you have hit the nail on the head. This again is a well-crafted pressure tactic by the developers of the Countdown To Profits System. Many people will actually think that they are about to miss out on a golden money-making opportunity so, therefore, they will act much faster to get out their credit card – DON’T MAKE THIS MISTAKE. What about that compelling video? Oh, yes. The Countdown To Profits creators made sure to add a compelling 8 Minutes and 20 Seconds video to the sales page of course. The video is filled with real news clippings of various news anchors saying that money is made online. Cmon now, we all know that money is made online! However, what the CountdownToProfits.com does is to let it seem as if THEIR system is the one which Matt Lauer and the rest of the news anchors were referring to. This is the MAIN trigger which prompts especially newbies to take the plunge without even knowing exactly how they will be making money online. If you really want to know the truth, these are the exact same videos that many scam systems have used in the past to persuade people to lose their hard earned money. I have literally seen thousands of them and have personally exposed some of them right here on my website. I have linked a few of the most recent viral scams below, so make sure to put them on your list of scams to avoid. What About All Those Recent Comments/Testimonials? You may have also noticed that near the bottom of the Countdown To Profits website that there are a bunch of supposed legitimate testimonials from members. Now, this looks authentic to the untrained eye, however, I have spotted some clues for you to know that the images and the texts are actually all fabricated. As an example, observe the 2 images you see below of a person by the name Kate Weinstein. You will also see on the same Countdown To Profits website of another image of the same person, but this time the name is Sarah Johnson. These are sure red flag clues that you must be aware of and pay very close attention to when deciding to invest in any online business opportunity. It is obvious that the creator who created the Countdown To Profits website did not pay attention to this huge flaw. What you should know is that all the images and testimonials are all created to give the impression that the CTP works, when in reality it does not. Richard Paul Countdown To Profits? When I did detailed research on a Richard Paul in relation to Countdown To Profits, what I discovered was shocking. My research revealed that the same image has been associated with two other lethal scams websites and the person is actually a fiverr.com actor! The 2 sites which have surfaced with the same image are Stark Trading System and Profit Stackers Software. These two above-mentioned websites have since been shut down due to their fraudulent tactics and deceitful marketing. I suspect that the same fate awaits the Countdown To Profits website and it’s creators – It’s just a matter of time. Take a look below at the proof of the same actor on the Profit Stackers webpage. Same person – different scam. Are there any honest systems online?! With so many scams around, where do you actually find a legitimate and honest way to earn money online? Everywhere you turn you see another marketer telling you that this and that system is the best thing since sliced bread. I think today will be a different day for you and you should consider this review a blessing in disguise. What I am about to reveal to you is a real business opportunity and I am not going to spew a bag of nonsense to you persuading you to sign up. This is the system that has changed the life of many individuals including myself. This system has taught me real ethical principles on how to make money online and I believe you can do the same with honest work. It is available to you for free and there is absolutely no catch. This place is called Wealthy Affiliate and I am a very proud member of the community of over 800,000 other people. There is no way for you to get scammed with Wealthy Affiliate and I believe that if you follow the free training, you will have a successful business as well. It is really for people who are serious about online business and willing to go for the long haul. They have been online since 2005. As I mentioned above, it is always smart to conduct a full research before you actually spend a dime on any program, so make sure to read the reviews of Wealthy Affiliate below if you have any doubts. I enjoyed doing the research for you and I hope that you found true value from what I have written here. Also, if you have any questions, comments or concerns, please leave them in the comments section further below. Whatever you do online, I urge you to avoid scams at all cost! 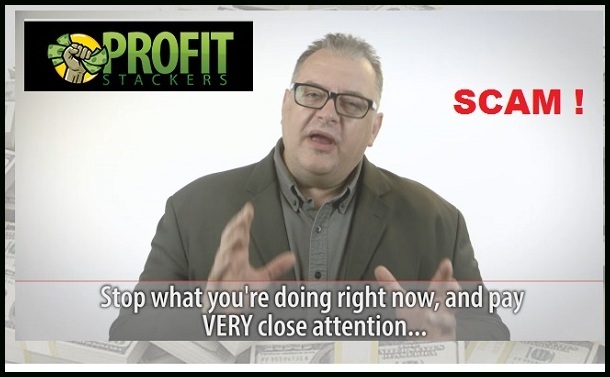 52 Responses to Is Countdown To Profits A Scam? Is there any actual legit work at home jobs out there? Every option I seem to find is a scam of some sort and I have searched hundreds. Chris, the best option in my opinion is to learn legit affiliate marketing either from Wealthy Affiliate or Affilomara. Those are the two best training out there that I know about. You can also start an e-commerce business using Shopify if that is something that you are interested in. You are awesome. This article was helpful, insightful and best of all factual. Thank you. Glad you found the review helpful, Andrea. Hi Jason, I tried creatin an account but they are telling me that my country is not supported. Thanks anyway for the help I really appreciate. Sorry about that. Try Internet Jetset ($47) as another option. 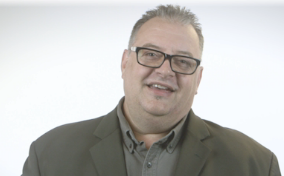 John Crestani is the owner and he teaches solid stuff. You can start by registering for the webinar here or go here if you want to buy it directly. Thanks for the great review. Pls can Nigerians be part of this program? I’m really interested, but I don’t know if people from this part of the world can join wealthy affiliate. If it’s possible, pls do well to let me know how. I really want to do this. Nigerians can be part of this program, but only as a premium member. Thank you for helping to expose these sites. Anytime I get emails or texts with links that show the “Featured On: MSNBC;FOX NEWS;CNN;USA TODAY and abc I already know that there’s a 99.99% chance that this is a Scam. I’ve lost thousands of dollars from the MLM Scamming Programs over the years and I’m not falling for anymore of this nonsense. Happy to help out, Barbara. Let me know if I can help with anything as you move forward. I put in my real email address to see that stupid video. Should I be worried? I wouldn’t worry too much. Just unsubscribe from any email communications they may send you or any other email you do not know and trust. The worst that could happen is that they may sell your email address to other scam sites so that those sites will send you promotional illegitimate offers. You will usually find the unsubscribe link at the end of any email you receive. Let me know if you need help with anything else. Thank you so much for your advise….. i try to search on Facebook those people on the screen are all fake. I thank you you for your research on countdown to profits and confirmed what my gut was telling me. At this point I’m skeptical of anything through the web wanting my email and phone number (I get so many spam calls anyway). Off the bat how much will your information about internet scams cost me? Glad that I was able to help you with my research. The information presented here is free for you to view – it doesn’t cost you. On the other hand, I do recommend some legitimate opportunities which will help you to build online businesses. And those are what could potentially cost you for getting training, resources, etc. Thank you for your comment and question. I read some of the Terms and Conditions. They were enough for me to figure out it was a scam. It says in them that you need to pay extra for the stuff you sell. The video says you don’t have to sell anything. LOL Right. Great job and thanks for stopping by to leave your comment. I actually did pay my hard earn $97 on Friday 07/21/17, of last week and I am very sad to hear that this is a scam. I’m one that try and pride myself to stay away from Scam artist, and now I wished so much that I would have search out the matter more so. My question now is: how do I get my refund back? Since after all of this, no one never did get back to me period. I have no way of knowing their phone # but the God I serve will, repay count down to profits for stealing money from the poor. If you have a number please send it to my email address for I really do need and want my 97 dollars back and if not the Lord will count down to profit for what they have done to me and others as well. So sorry to hear about what happened to you. See if you can contact the Countdown to profits for a refund or contact your CC company and let them know you were a victim to an online scam. In most cases, your CC company will rectify issues such as this. I hope that justice will be served. Just remember, money isnt something that is easy to be made! What is this in reference to? Thank you so much and I am glad I do my research and found you article about the scams preventing me to be a victim one more time is scam, the article is really helpful and and I am getting ready to check out Wealthy Affiliate website and go forward. I am glad that this review was helpful. Glad that you took your time to do your research before you actually lost money. Wealthy Affiliate will help you out in a very positive way for sure. Join me directly here and I will personally help you and send you some important information on how to move forward. Glad that I could help you out, Sandra. Regarding Wealthy Affiliate: The free version is not available in Nigeria, however, the premium membership is available. Feel free to check this page for more details. All the best as you move forward. It gives me great pleasure to know that the review was able to help you make a sound decision. All I suggest is that you continue to do your due diligence whenever it comes to investing any money into any online program. If you need any help finding a great place to learn how to create a legitimate business online, feel free to check out the top recommendations displayed on the sidebar. i have a question that when they asked for my name and email address, i give them my name and email address but i realize that this is fake…. Can they hack my account to get the money or its fine? If you only added your name and email address, you should be fine. The worst that could happen is that they sell your information to other sources which could result in those same sources sending you scam offers. Just unsubscribe when you see emails coming form sources that you don’t trust and know. Hi Jason, it still ain’t working. Instead I got this message;”We’re sorry but we are not able to create your account at this time because your country is not supported”. Thanks for the effort Jason I really do appreciate it. Not to worry, Sandra. I will contact you shortly and get you signed up! Thanks Jason. looking forward to that. Hope you have my email addy to contact? You are welcome, Sandra. I have sent you an email, so let me know if you received it. God bless you Jason! Thank you for your research and exposing this type of scam. Most people, like me, struggling to make ends meet are easy prey. I was about to get my bankcard, but I thought to look for a a Review and I found your site. Thanks God, I was about to loose $97! Part of my rent money! Thank you! Hi Jason. Thanks for exposing this sketchy program. To beginners in the online space, Countdown to Profits may seem like a great offer, but there are certainly red flags that make me think it’s a scam: shady marketing practices, fake testimonials, etc. Simply not a program I’d be willing to get involved with. Thanks again for the review. Glad that I could help out by providing this review. So you mean they can actually fabricate their own testimonials? This is the first time I’m hearing this. And the way I’ve been intrigued by these success stories of theirs. So how can I be spotting a scam from afar? Dave, thank you for dropping by to leave a comment. 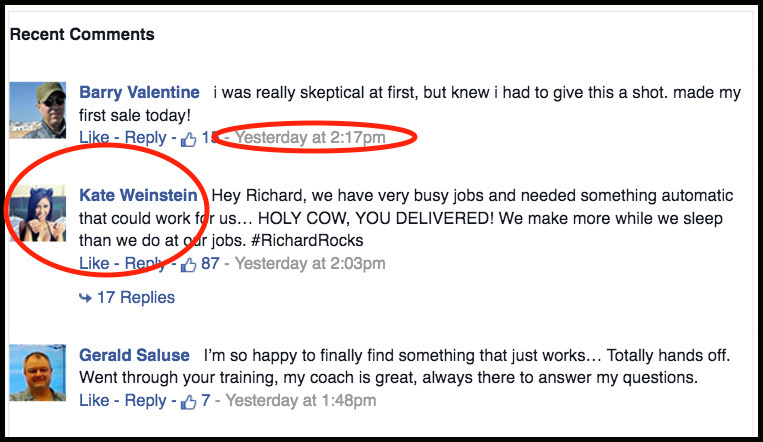 Yes, online scammers do pay people to create fake testimonials for them. That is why so many people fall victim to the many scams out there. I have written a guide which shows you ways to spot a scam website. You may want to check it out here. I am glad that you were able to do your research before you actually lose your money. What I would suggest is that you learn affiliate marketing. It is by far the best way to make money online. Wealthy Affiliate teaches you for free, so check out what they are about on this page. I hope you will find true success online in an ethical manner. A great review you had done. Good job! You even spotted the same image used by 2 different person. You are absolutely correct that an untrained eye will have missed it. Thank you for the detailed information. Now I know how to spot for scams online. I was lucky not to have been scammed and found the Wealthy Affiliate business community first. This is what I do to make sure that people who are looking for real opportunities to work online are presented with the facts before any money is ever lost. Glad to know that you are part of the Wealthy Affiliate community. You are very fortunate and I will be seeing you around for sure. Thank you for this review! I am always careful to check out reviews of sites that I think might be a scam and this definitely helped! I am going to have to come back here in the future if I want you to check out a site’s scam probability for me. I am a member of Wealthy affiliate myself and have to say that I recommend it to everyone who is looking to make money online as well. It has been awesome for me and it was because of a blog like yours that I decided to try it out. How long have you been doing your online business? And do you still use wealthy affiliate regularly even though you seem to be so far along past the process of building your web site? I am glad that you found the countdown to profits review quite helpful, Chase. Yes, it is always wise to conduct a research on any system which you will invest in to make sure that they are actually legit. I am so happy that you were able to find Wealthy Affiliate as well. It is truly the #1 online business community for anyone interested in making money online. I have been doing online business since 2014 (when I found Wealthy Affiliate) and I am so glad that I did find them. I log in everyday to keep up to date with the many changes in the IM world. I will look you up within Wealthy Affiliate to say “hi”. Take care and thank you for passing through. You are doing a great service by letting everyone know about this make money online scheme. I have been scammed quite a few times and have put out my hard earned money because I fell for tactics like this. Thank you for being one who is out to warn everyone about scams online. I am happy to keep doing these research to help people to avoid so many of these useless systems. I know that many people keeps getting scammed so I feel it is my duty to help out as much as I can. Glad you found my review and thank you for leaving a comment. Glad to see that you were able to do your research and find the right information about the countdown to profits system. I was like the above mentioned in stating that they were falling for the scam. I actually listened and got to my $500. ..including myself…almost be so gullible? Thanks for solidifying what I had already thought to be a scam.